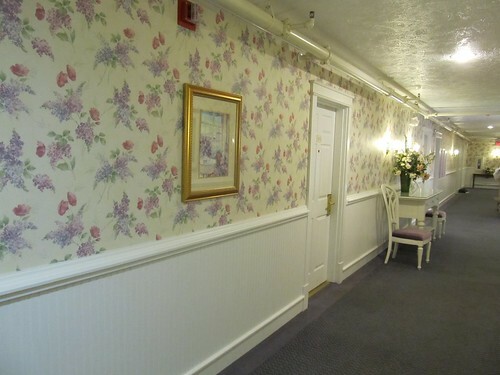 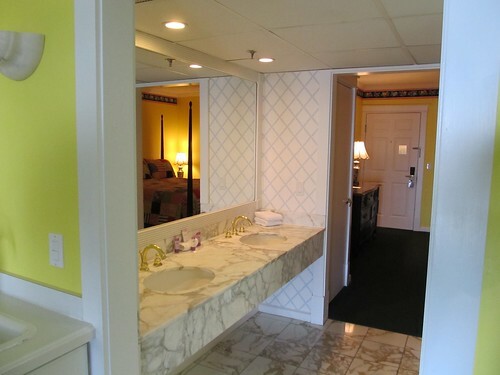 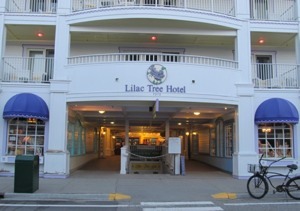 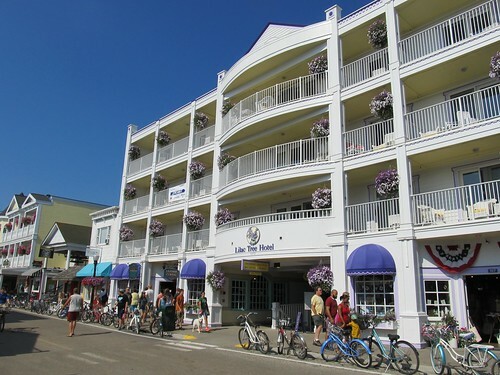 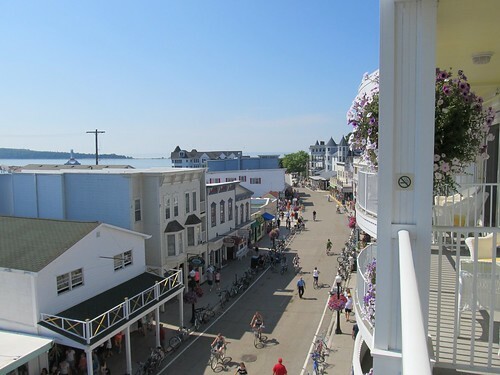 The Lilac Tree Suites and Spa just might be one of the best places to stay on Mackinac Island if you want to experience all the charms of downtown Mackinac Island. 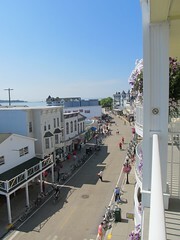 Choose a second, third or fourth floor balcony suite and you can sit on the balcony of your room and watch the summer crowds pass by below – on bicycles, in horse carriages and on foot (see photo above, left). 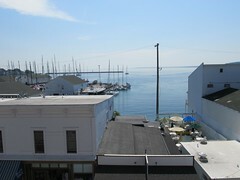 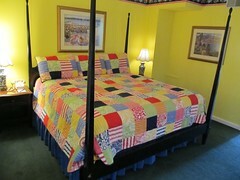 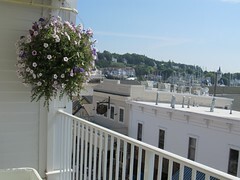 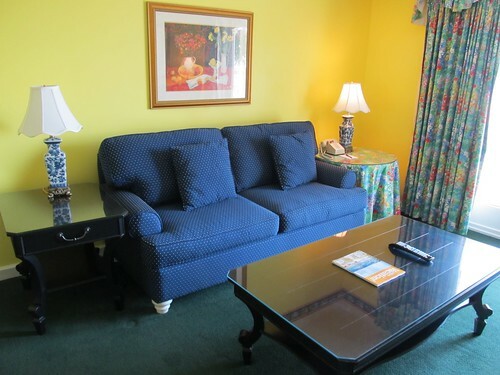 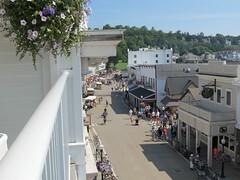 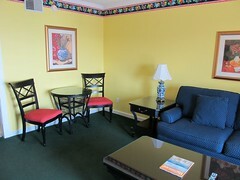 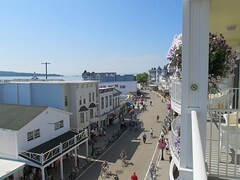 Many fourth floor suites also give you views of Mackinac Harbor and the marina (see photo above, right). Inside Tip: The fourth floor suites in the middle of the hotel will have the best views of the harbor – the photo above is from suite 402. If you want to experience more of the ambiance of downtown Mackinac Island, choose a second-floor balcony suite and you will be closer to the sights and sounds of downtown. 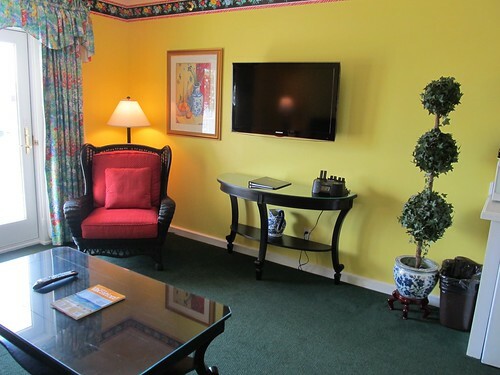 For more information on all of the rooms at the Lilac Tree Suites and Spa please visit the rates and rooms page on their website. 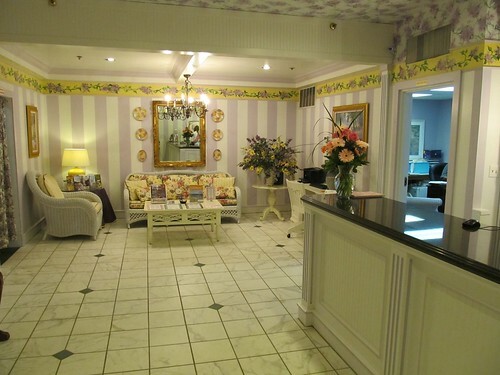 The Lilac Tree Suites and Spa Page on Travel Advisor is also a good resource to research your stay at Lilac Tree Suites and Spa.